Leading Exporter of hydraulic breaker bush, aluminium bronze bushing, brass corn mill bushes, bronze automobile bushes, brass oil free bushes and bronze crank pin bushes from Jamnagar. We are leading Manufacturer & Exporter of our product range includes a wide range of bushes such as Hydraulic Breaker Bush. Packaging Details: PVC & Corrugated Boxes. 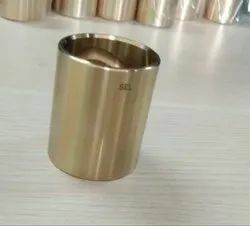 Aluminum Bronze Bushes To be fitted in automotive and other industrial equipment for locating bearing, these Aluminum Bronze Bushes are widely demanded across the globe. The provided bushes are manufactured by diligent technocrats using the finest grade bronze with aluminum coating. For ensuring their overall quality, the offered bushes are tested on certain quality aspects. 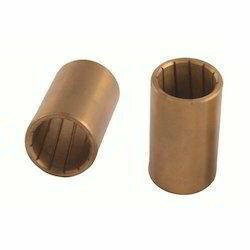 Available at economical prices, these Aluminum Bronze Bushes can be bought from us in diverse dimensions. 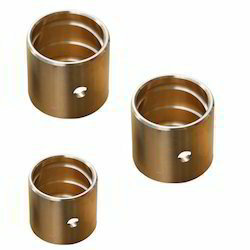 Export quality brass bushes manufactured under team of highly professional experts in the Industry. “Brass Corn Mill Bushes” are available at very competitive price with customer’s specific requirements with complying with international Norms standards. Since our inception in the year 1989, we have been engrossed in manufacturing, exporting and supplying the finest quality Bronze Auto Mobile Bushes. These bushes are fitted in various automobiles for rotary applications. The provided bushes can be purchased from us at cost effective prices in various specifications. The offered Bronze Auto Mobile Bushes are manufactured using the finest quality bronze and cutting-edge techniques by our diligent professionals. We can manufacture any size as per customer drawing and specification. 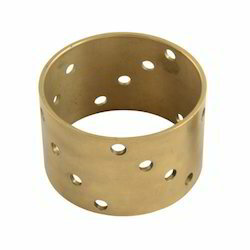 Export quality brass bushes manufactured under team of highly professional experts in the Industry. “Brass Oil Free Bushes” are available at very competitive price with customer’s specific requirements with complying with international Norms standards. Export quality bronze bushes manufactured under team of highly professional experts in the Industry.“Bronze Automobile Bushes” are available at very competitive price with customer’s specific requirements with complying with international Norms standards. Good to use in heavy load High pressure application. Hardness Strength is a quality of bronze alloys. Export quality bronze bushes manufactured under team of highly professional experts in the Industry. 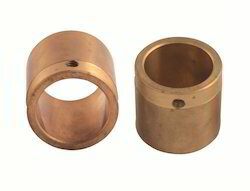 “Bronze Crank Pin Bushes” are available at very competitive price with customer’s specific requirements with complying with international Norms standards. 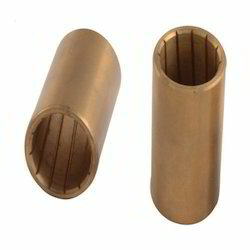 Export quality brass bushes manufactured under team of highly professional experts in the Industry. “Brass Plain Bushes” are available at very competitive price with customer’s specific requirements with complying with international Norms standards. 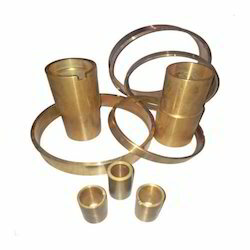 Export quality brass bushes manufactured under team of highly professional experts in the Industry. “Brass Collar Bushes” are available at very competitive price with customer’s specific requirements with complying with international Norms standards. 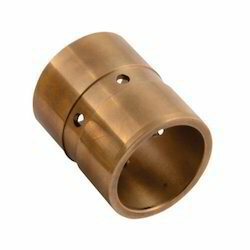 We have emerged as the leading manufacturer, exporter and supplier of quality examined Brass Crank pin Bushes. These bushes can be purchased at most affordable rates from us. The offered bushes are manufactured with the use of premium grade brass by our adept professionals with the aid of cutting edge techniques. The provided Brass Crank pin Bushes are used to be fitted in crank and other related items for preventing vibration. Nowadays Dezincification resistant brassesÂ (DZR) are used in various applications. 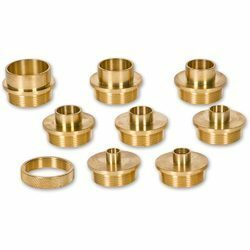 With the help our diligent professionals, we are able to manufacture, export and supply a wide range of Brass Collar Bushes. These bushes can be purchased at economical rates from us in various specification. The offered bushes are used to be installed in machines and vehicles for connecting moving arms and pivot points to the other parts of the suspension. 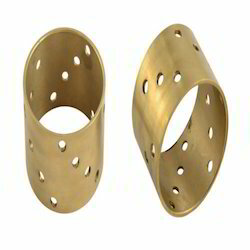 The provided Brass Collar Bushes are manufactured using quality approved brass by diligent professionals. Export quality bronze bushes manufactured under team of highly professional experts in the Industry. 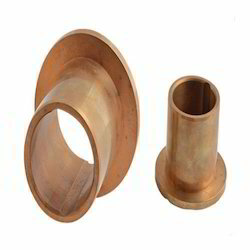 “Bronze Flange Bushes ” are available at very competitive price with customer’s specific requirements with complying with international Norms standards. 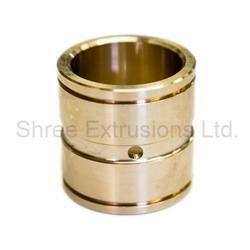 Export quality brass bushes manufactured under team of highly professional experts in the Industry. “Brass Ring Bush Bushes” are available at very competitive price with customer’s specific requirements with complying with international Norms standards. 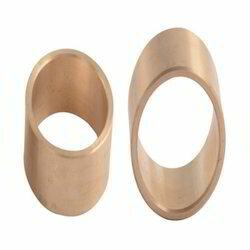 Export quality brass bushes manufactured under team of highly professional experts in the Industry. Brass Plain Bushes are available at very competitive price with customer’s specific requirements with complying with international Norms standards. Export quality bronze bushes manufactured under team of highly professional experts in the Industry. “Bronze Insert Bushes” are available at very competitive price with customer’s specific requirements with complying with international Norms standards. 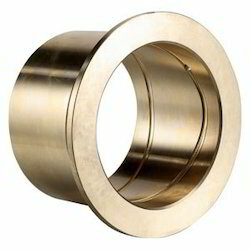 Export quality brass bushes manufactured under team of highly professional experts in the Industry. “Brass Bushes” are available at very competitive price with customer’s specific requirements with complying with international Norms standards. Made from a Silicon Bronze material especially effective for bearing surfaces, this bush also has the advantage of having an oil collecting groove cut into the outer edge to aid lubrication to the crown wheel centre. 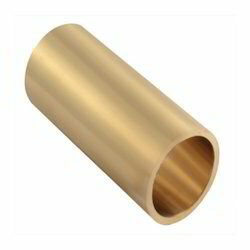 We are leading manufacturer of Silicon Bronze Extrude Solid Rods, Tubes and Finish Components - as per Indian & International Standards and also as per Customer requirement. Uses: It is also resistant to corrosion and therefore good for use in the marine environment. Shree Extrusions Ltd. A Copper & Copper based Alloys Manufacturing since 1989, Our Plant is located in Jamnagar Gujarat, India. At Shree Extrusions Ltd. we Extrude Solid Rods & Wire Tubes / Hollows, /Pipes, Flat/ Section/ Profile and Finish Components of Brass, Copper & Bronze as per Indian & International Standards and also as per Customer requirement. Each of the above mentioned alloy is selected as per King Pin Bush Assembly Application. We wish to draw your attention to our extruded tubes & hollows being used as an alternate to Casted / Sintered bush. We solicit your valued inquiry for Extruded Brass Hollows / Tubes. Shree Extrusions limited one of the leading manufacturers and exporters of Copper & Copper base alloys and customized precision turned components as per customer requirements, drawings & specification; however we have our own manufacturing mills (extrusion facility of manufacturing copper & copper base alloys) as well as machining facility to give quality products with competitive rates. 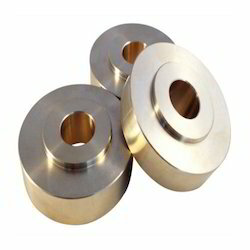 Our organization is proud to introduce Brass Oil Free Flange Bushes. We offer extrude solid/tube for bushes in various shapes and sizes as per the requirements of our clients. Our competent experts make sure that all our products are in accordance with international quality standards. We offer these products to the valued customers at market leading prices. To satisfy the specific requirements of our clients, we are instrumental in offering a commendable range of Manganese Bronze Bushes in different diameters. Suitable for high load and low speed applications, the provided bushes are highly demanded in the global market. The offered bushes are precisely manufactured by our dexterous professionals using quality-tested manganese bronze and pioneering techniques. Additionally, we are providing these Manganese Bronze Bushes to our clients at market leading prices. 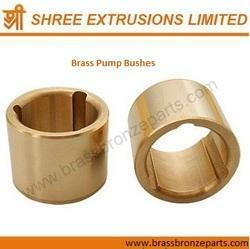 Export quality bronze bushes manufactured under team of highly professional experts in the Industry. “Bronze Bushes” are available at very competitive price with customer’s specific requirements with complying with international Norms standards. "Brass Pump Bushes" are available at very competitive price with customer's specific requirements with complying with international Norms & standards.